Neymar is among the greatest players in world football at present, which means it’s no surprise to hear rumours linking him with the biggest teams in the world. Recently, the Brazilian superstar was reportedly linked with European champions Real Madrid and English Premier League runners-up Manchester United. Of those, the team who needs him the most is definitely the Red Devils. Former PSG boss Unai Emery insisted that Neymar would be staying in France with the current Ligue 1 champions into next season. However, Emery is now manager of Arsenal in England and isn’t there to persuade the twenty-six-year-old to stay put. 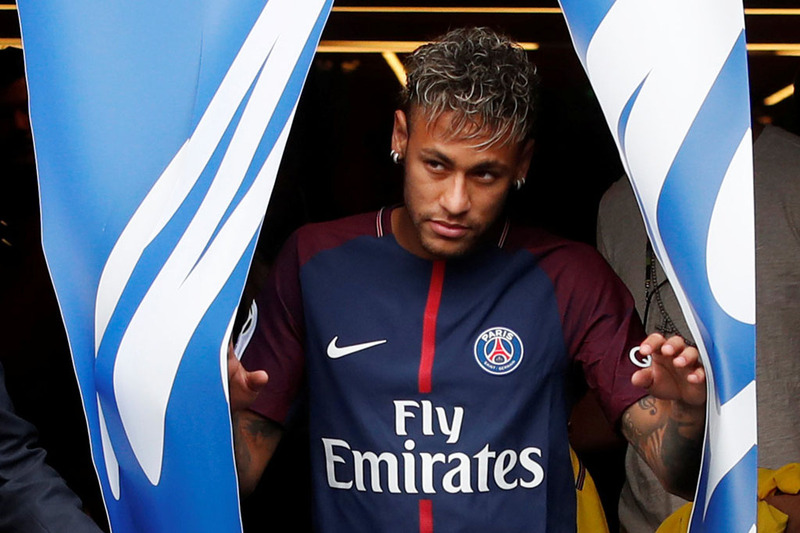 A monumental transfer fee would be required to secure the signing of Neymar, but he could be the player United need to dominate the Premier League once again. Manchester United won the first ever Premier League season in 1992/93 and have managed to win it a further twelve times since then. However, they have struggled to have an impact in recent seasons. Since they last were crowned champions in 2012/13, they have finished 7th, 4th, 5th, 6th, and second last term. These aren’t the sort of league finishes which please the red half of Manchester and manager Jose Mourinho needs to do something to turn it around soon. Fans expect trophies, especially when they have seen their side dominate English, and indeed European football for so many years. 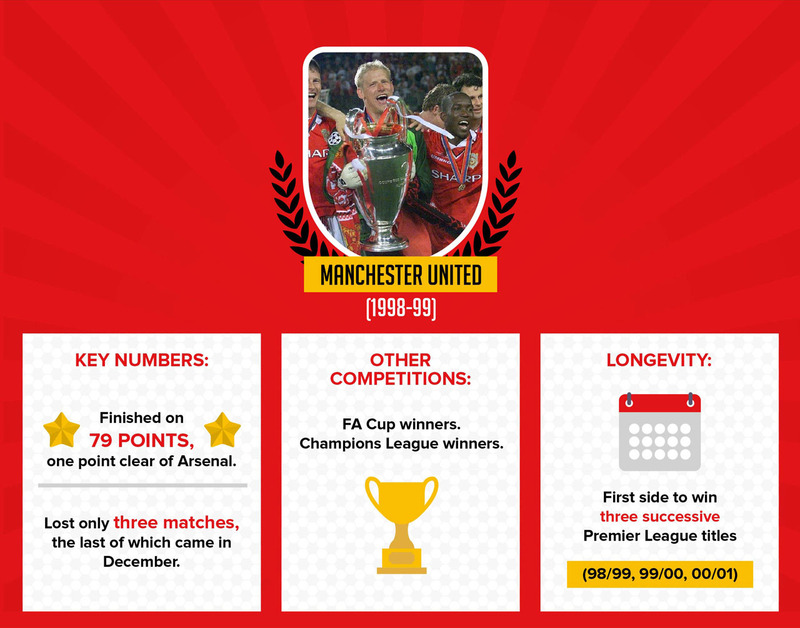 The great teams of 1998/99 and 2007/08, who won the treble and double respectively, have been talked about as two of the greatest teams to have ever played in the Premier League. To get back to that, they must bring in a world class superstar who would lift everyone at the club. United’s treble winning season. 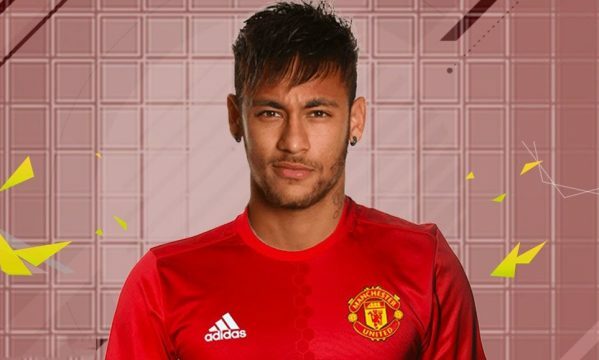 Would the signing of a player like Neymar bring back the glory days to Old Trafford? The simple reason Neymar would be perfect for United is that he is simply one of the best players in the world and would give them an attacking threat they have lacked since Robin van Persie netted twenty-six league goals to fire them to the title in 2012/13. In the past five seasons, United’s top scorers have accumulated a total of seventy-three league goals between them. This is Romelu Lukaku (16), Zlatan Ibrahimovic (17), Anthony Martial (11) and Wayne Rooney (12 & 17). In contrast, Neymar has scored a total of eighty-seven league goals in that time playing for two of the best teams in European football. Add to that his high profile, which would attract more fans and sell more merchandise to increase revenue, and the fact his signing would be a clear message to every one of United’s rivals. Also, one major signing can show other great players that the club has ambition and are willing to invest heavily to achieve success. That could open the floodgates of players who want to pull on the red shirt at Old Trafford. One player doesn’t make a team, but the greatest footballers in the world have managed to lift their teammates to a level they had never previously reached. Neymar is the sort of player who could do that. His pace, technique, dribbling ability, playmaking, and overall phenomenal talent opens up space for teammates and allows every team he plays for to create chances. His goal scoring ability is up there with the best and he would be certain to add a touch of class and flair to the current Manchester United setup. It remains to be seen if Neymar is keen to make the move to English football and if Manchester United is the team he would like to play for. The Brazilian superstar has already achieved great success in Spain and France, to do the same in England would surely secure his place in history as one of the best ever players in world football. He may end up costing £300 million if United did want to secure his services but if he can turn them into champions again next May, it could be a worthwhile investment. However, Neymar’s primary concern at the moment will be the World Cup in Russia and whether or not he will be able to participate fully fit, or even participate at all.